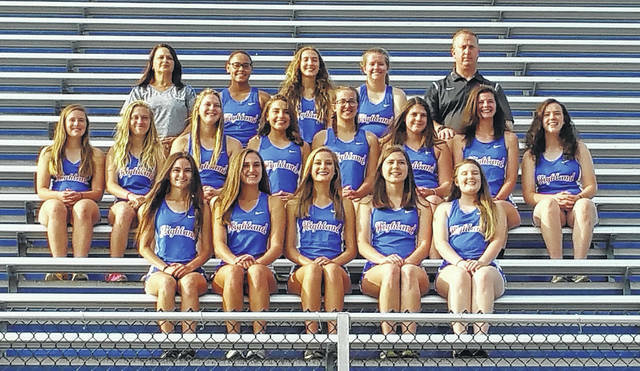 The Highland girls’ cross country team returns a number of letterwinners as they hope to improve on last year’s fifth-place finish in the conference and 13th-place finish at districts. Returning are seniors Olivia Longhenry and Sophia Thompson; juniors Clarissa Dudgeon, Liz Jensen and Morgan Wilhelm and sophomores Madison Cecil, Brooklyn Geiger and Sammie Trusler. Head coach Shawn Wilhelm also has a number of new runners to help replace graduates Jenna Brown, Hailey Howard and Laura Spearman. Wilhelm is simply hoping for his charges to remain healthy this year. Wilhelm looks at the new Knox Morrow Athletic Conference as a strong one, citing the majority of teams as having a good shot at winning a league title. “Northmor returns a very solid group of girls from last year’s championship, but Centerburg, Highland, Mount Gilead and Fredericktown are not far behind,” he said. The boys’ cross country team returns six from a team that was fourth in both the conference and district, as juniors Chandler Bumpus, Collin Kipp and Dalton Lee; as well as sophomores Branton Howard, Christian Miller and Zach Wetzel all are back. While the team graduated Tyler Bowen and Christian Buchholz, they will add freshman Tucker Tague, who was 11th in the MOAC middle school race last year and 35th at the middle school state championships — giving Wilhelm hope that he will challenge for a varsity spot. Wilhelm looks at Fredericktown, Northmor and Mount Gilead to be the top challengers for Highland in their bid for a league title in the KMAC this year. Pictured above is the girls’ cross country team at Highland. 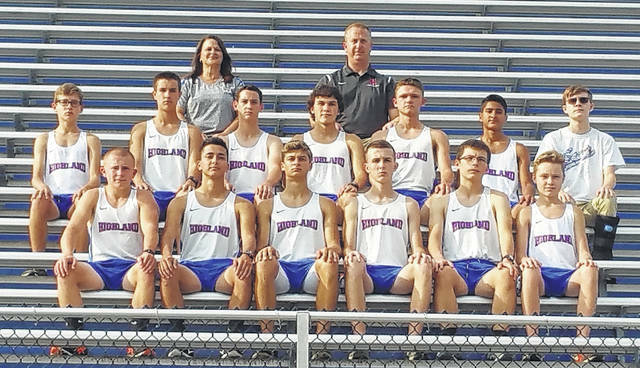 The 2017 Highland boys’ cross country team is in the above picture.